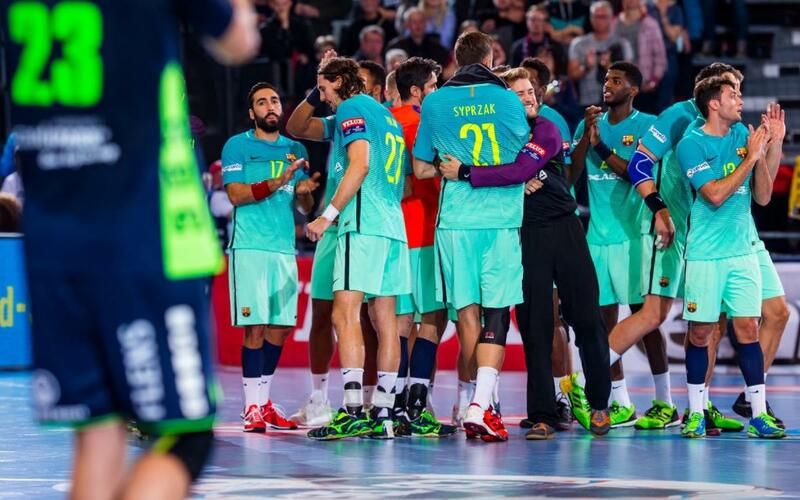 First came Wisla Plock (23-28), last weekend was a thrilling victory at the death against Kiel at the Palau Blaugrana (26-25) and on Wednesday it was Flensburg's turn to face Barça Lassa. Xavi Pascual's men have been playing well in the Velux EHL Champions League with three victories from their first three games. This leaves them in first place following their tense and hard-earned victory by a single goal against Flensburg (27-28). Barça Lassa again had to work hard and show spirit to defeat another tough opponent. They managed to do so due to their defensive solidity aided by the impressive eighteen stops that Borko Ristovski made. The Catalans looked confident from the start regardless of the close nature of the game, which wasn't decided until the final seconds. They went into half-time leading 13-10. After the break, Holger Glandorf's arrival and the inspiration of goalkeeper Mattias Andersson, with twelve saves, brought Flensburg level again at 23-23 in the 48th minute. The ex-Barça goalkeeper made the Catalans dig deep. The response came in the form of top-scorer Jallouz and Barça Lassa keeper Ristovski who made key saves including one two minutes from time which kept Barça ahead by one goal. Finally, following two missed opportunities for the home team the full-time whistle was blown bringing an action-packed and intense game to an end. Two great teams contested this game until the end and it ended with a victory for Barça Lassa who consolidate their first place in Group A.